I was super excited to know that I am one of those Twitter users who can enjoy the new characters limit. The announcement to double the character limit to 280 was made yesterday. I was super excited to know that I am one of those Twitter users who can enjoy the new characters limit. For it means wordier messages, no shorthands and lots and lots of emojis.  The announcement to double the character limit to 280 was made yesterday. 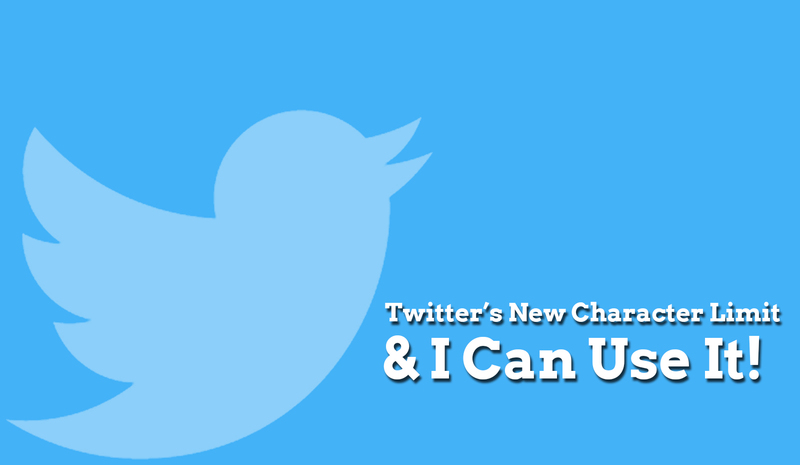 However, not every Twitter user will be able to use the new limit just yet. According to the official resources, Twitter has selected only a small number of accounts to test the new long tweet feature. To know that you have access to the new Twitter character limit or not, log into your Twitter accounts and hit the Tweet button. If you find a circular icon, it means you can write long messages. Also, when you start writing the circle starts filling in blue color just like any timeline would do. I loved this new UI, and the overall user experience has been significantly improved. I am not so sure how the community will react to this new feature. Some may like it; some may not! People do speculate that Twitter might head towards long posts just like Facebook. But I’m not an advocate of this approach. However, I’d love to hear your feedback about it. Can you write up to 280 characters? What’s your opinion? You can post your comments below.